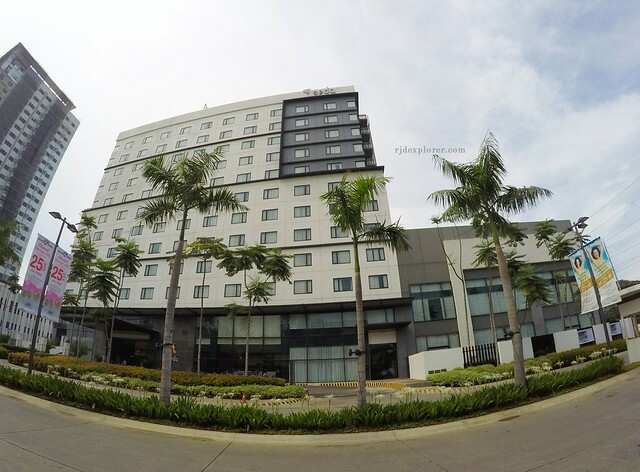 Right in the middle of Davao City, between the crowded Lanang area and the busy city center of Davao, is a sleek and contemporary designed building. 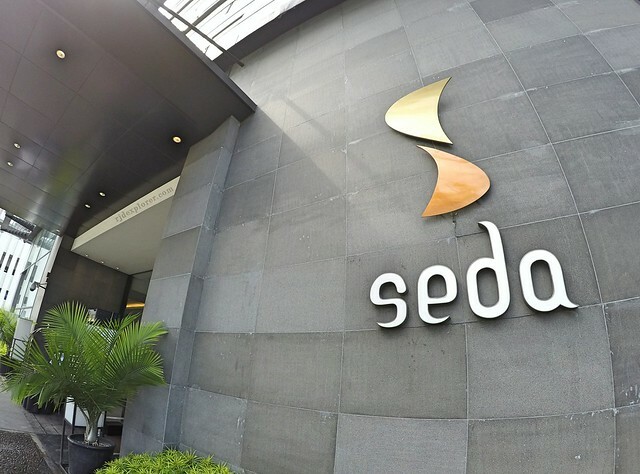 SEDA Abreeza Hotel, a newbie hotel in Davao opened in June 2013, seizes the city’s developments and offers an urban lifestyle to every Davao tourist. “Grand” was the word I instantly uttered when I set my first step inside the hotel lobby. 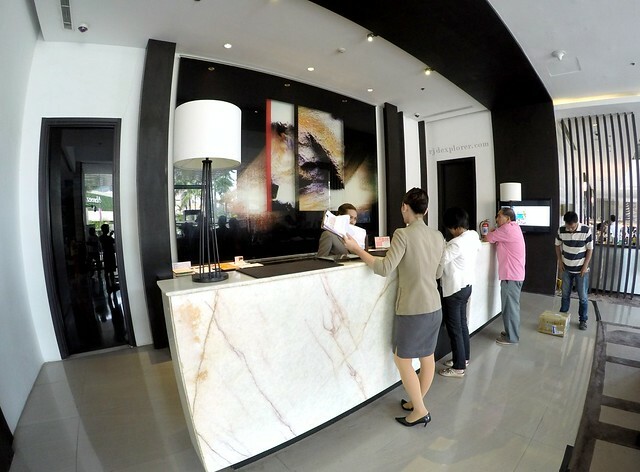 The paintings and artworks are screaming and greet every guest on their way to the front desk for check-in. The layout of the ground floor was perfectly planned by having no boundaries between the hotel lobby, business lounge, and the restaurant. It was two days before the Pacquaio-Mayweather fight and a boxing ring was installed in front of the reception area. 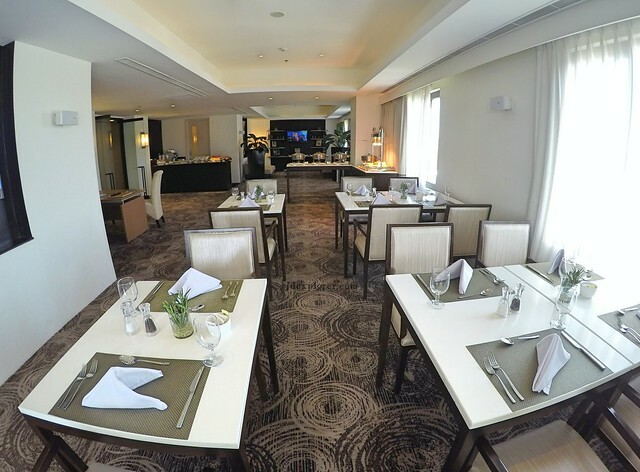 The business lounge was decorated with elegant furnishings with a relaxed atmosphere that charms both leisure and business travelers to stop and enjoy the stress-free environment. Business lounge and front desk. I forgot that I just came from a buffet feast in Vikings SM Lanang as my attention was immediately taken over by the major colors of SEDA Hotel, warm and soothing to the eyes. The name of the hotel originated from “seda”, a local translation for silk. With this, you will anticipate a fine and quality service the hotel is ready to offer. Deluxe Room with two twin beds. 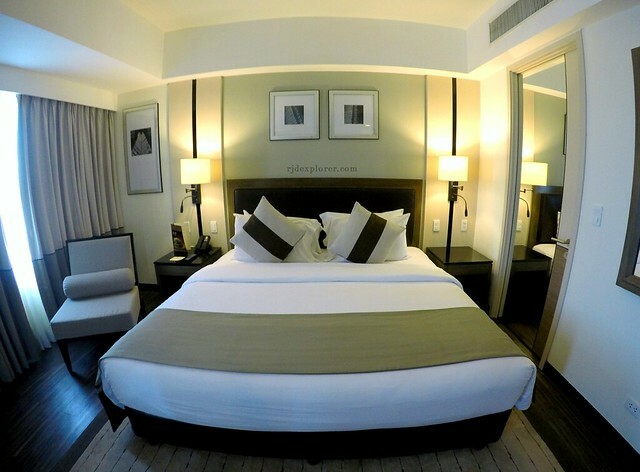 Our deluxe room, pervaded with a homey and cozy ambiance, has two twin beds with contrasting light and dark brown colors that provide a view of effortless luxury. Can’t leave your online work? The availability of a spacious working desk and free wireless connection will be your essentials. 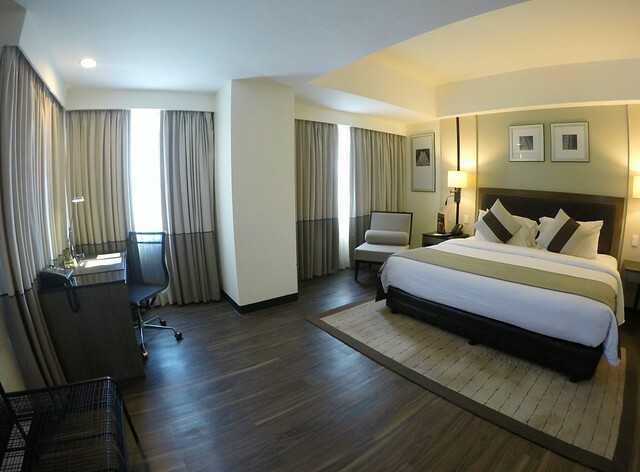 In addition, rooms are also equipped with a 40-inch LED HDTV with cable channels, a media panel with HDMI, USB and audio-visual connectivity, IDD phone with iPod dock, alarm clock voicemail and radio, coffee and tea making facilities, mini-bar and in-room safe. 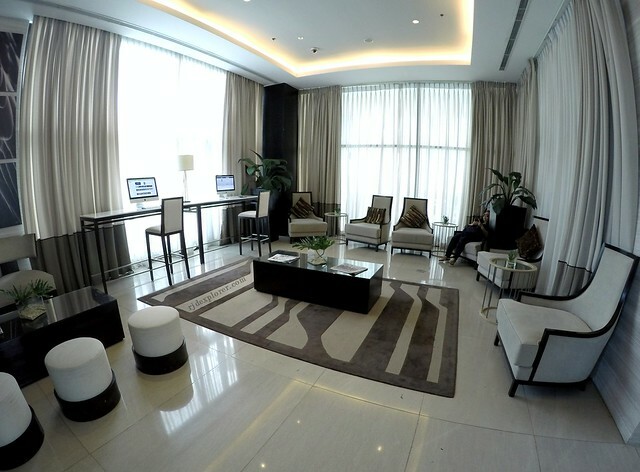 Club Lounge that offers exclusivity for guests availing the Club or Premier Rooms. SEDA Abreeza also provides exclusive privileges by having the Club Lounge, an area where guests can enjoy exclusivity and premium service, as well as private check-in and check-out, daily Continental breakfast, afternoon tea and cocktails, all-day coffee, tea and non-alcoholic beverages, iMac stations, work tables, reading materials, a wide-screen LED HDTV with cable channels, everything complimentary. You can get access to the Club Lounge when you avail their club rooms and premier rooms, located on the 10th and 11th floors. 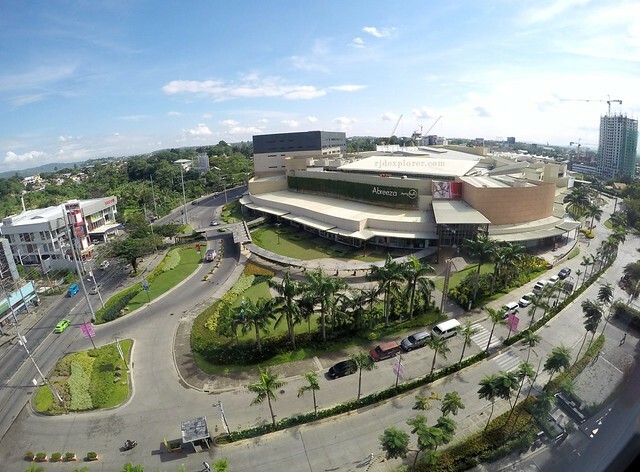 Nearby Abreeza Mall of Davao. 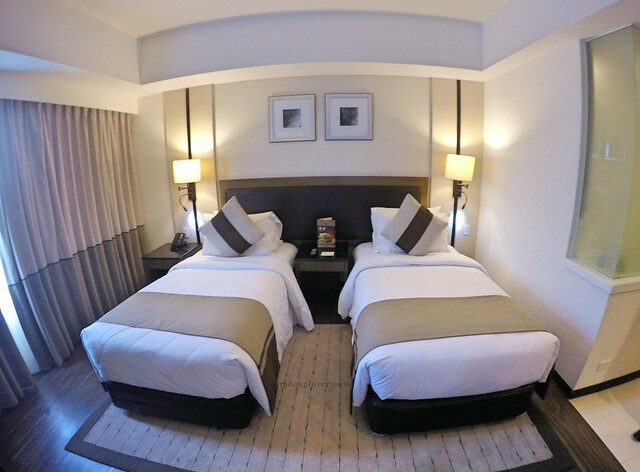 The hotel also balances the essentials for business and leisure travelers. The lounge, adjacent to the hotel lobby, suggests a business environment with the set-up great for short business meetings. Two MAC desktop computers are also available for free usage and quick checking of emails. On the side of the hotel are the swimming pool and gym. For dining needs, Misto will be your friend for ala-carte dining offering international and local favorites. 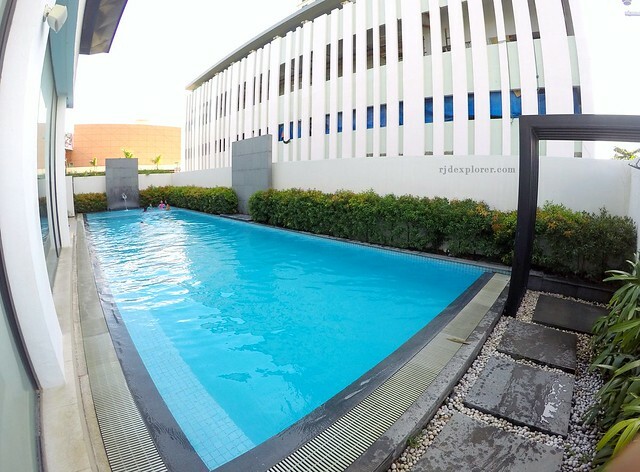 SEDA Abreeza’s short lap pool. 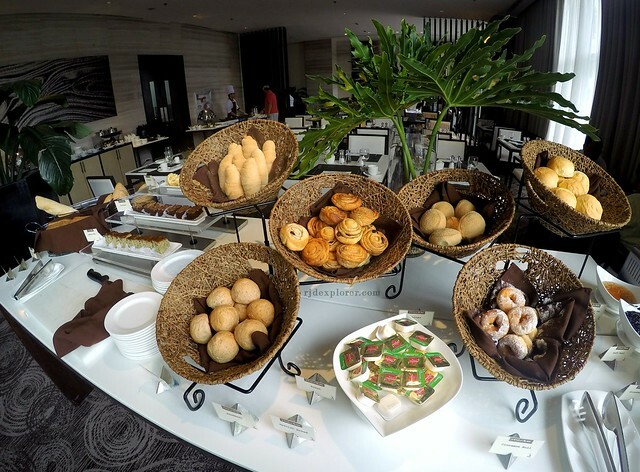 Hotel’s buffet breakfast was one of the most generous buffets I’ve tried from appetizers, bread and pastries, soup, entrée, fresh fruits, and cheese. 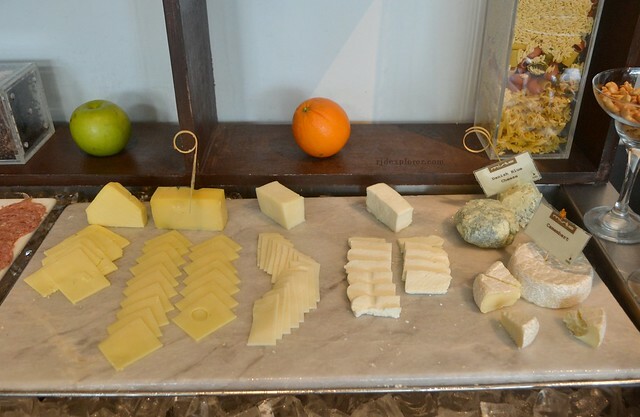 You heard it right, cheese from Malagos Resort like feta, blue cheese, and camembert. The moment I settled to start my meal, a crew gave me a small platter of fruits without any request provided; an impression that really astounded me. 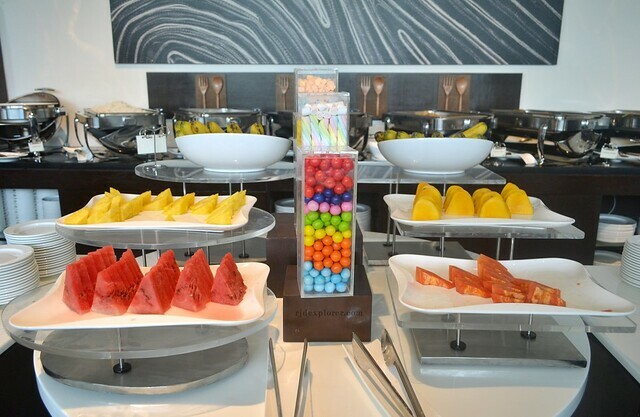 Fresh fruits and my hearty breakfast during our stay. Stay in SEDA Abreeza was a short one but the entire experience surprised and amazed me from its impressive interior designs, different artworks on lobby and walkways, modern and stylish room accommodations that can be upgraded to avail exclusive amenities, and to the superb hospitality and service the entire staff extends to their guests. They really lived up to their commitment, to provide a seamless hotel experience. 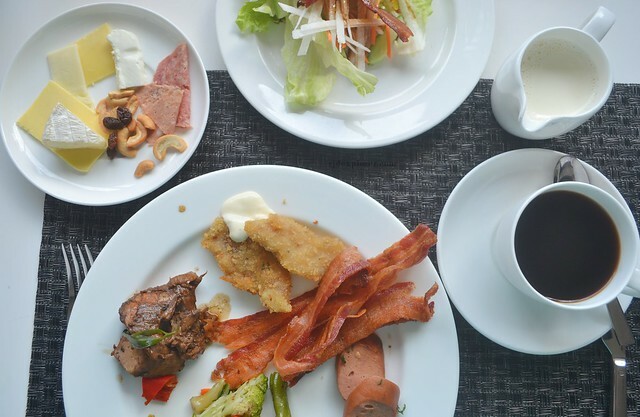 Click here for discounted room rates at SEDA Abreeza Hotel Davao.